Like any athlete worth their salt, you should always be striving to improve your game. 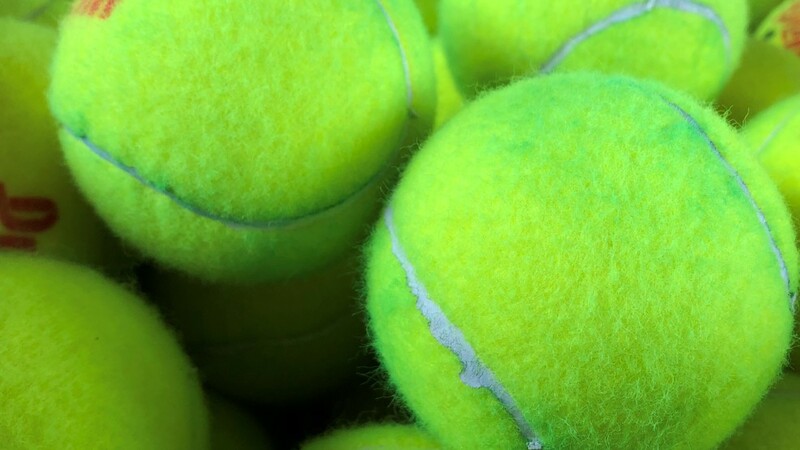 Fitness, technique, and ability to plan ahead are all facets of a good tennis player but sometimes everybody needs suggestions on how to progress. Whether your tennis game has stagnated or you’re just looking for an edge, browse our list of 5 Tips to Improve Your Tennis Game! Make sure your bodyweight is fully loaded on your back leg before playing your shots. Your power is going to come from a solid base and making sure to stay grounded will help transfer your energy to the ball. Placing too much stress and tension on your muscles will surely lead to misplaced shots. Make sure to take time and stretch beforehand, a relaxed arm will let you hit those shots. Pull back on your serves! Having a powerful serve can be devastating but it doesn’t matter how hard you hit the ball if it lands out of bounds. Slow down on your serve and focus on being constantly accurate and then turn the power up. Practice, practice, practice your ball toss! When serving, you want to make sure you consistently throw the ball 18 inches in front of your leading foot. Implementing any or all of the tips we’ve listed are sure to polish your game up. The greatest asset for any tennis player is to develop good muscle memory so the best tip for that is Practice, Practice, Practice! Do you have any tips or pointers that’ve helped you improve on the court? Comment below!